Roger Brook - the no dig gardener: Can I use general compound fertilizer on my lawn? So are you ab advocate of a closely cut lawn? It does seem that many people prefer short brown lawns to the longer green variety. You are quite right to chastise me Sue! I don't usually go to the closest cut on my rotary mower but with open day coming up I had! I blame Brenda for wanting it short! I always blame Brenda when something goes wrong as you will have noticed! I have now reverted to a longer cut for the winter. Lawns don't have to go brown with a short cut as long as they are cut frequently. Anytime Roger :) By brown with relation to my neighbours grass I mean scratching most of the grass off down to soil level!!! 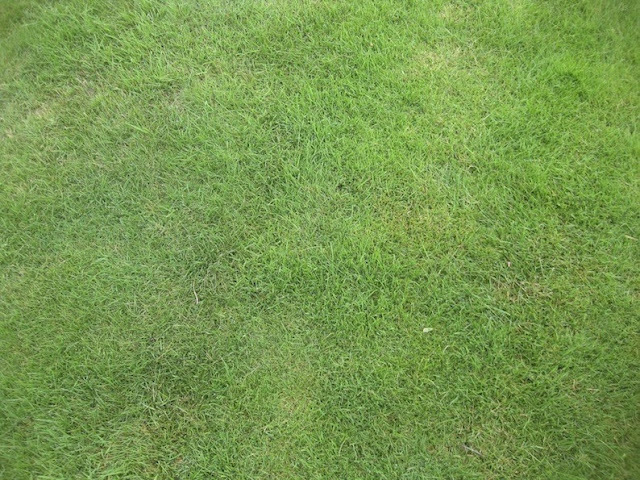 My lawn, once installed as sod, was beautiful and deeply green. Now, it is nothing but weeds, so fertilizer is not the answer for it. I would be growing bigger, better weeds! Plus my neighbors are not too happy that I do little lawn maintenance. They spray and spray but after awhile, their lawns get thin and anemic looking. Seems there is no real trick to keeping the grass really green with all those big Norway Maples sucking up the nutrients and water. You wrote a pretty good article for lawn owners, very informative. Thanks Donna for your interesting comments. I think you often grow different grasses in the States but I think you are up in Niagara where it is cooler like here. I know you are not into spraying and in actual fact I much appreciate ecological lawns although this is not very apparent from my post! 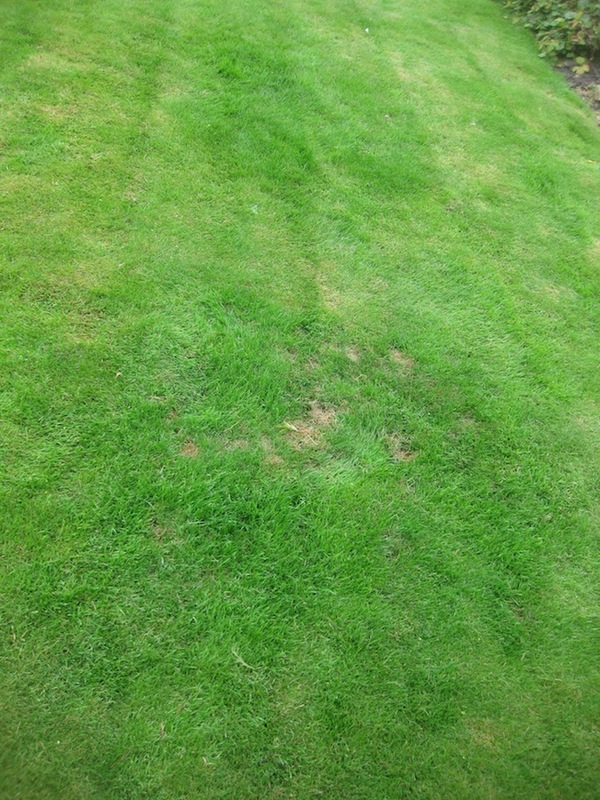 As Sue Garrett suggests above cutting the grass higher helps where there is drought conditions as under your maples. As I write I am sitting in Brenda's son's garden in Gex, France and am looking out on a weedy, er I mean ecological lawn and it looks really nice! Ps garden walker and talker I forgot to mention for the benefit of other readers that your blog always has the most fantastic pictures! Where can I purchase Yaramila complex to give my lawn a treat? It is in terrible conditions, moss and little grass, so I will be feeding it with sulphate of lime shortly, then later in the warm weather I thought a feed of Yaramila complex would be beneficial but ma having difficulty in locating a source. All (hopefully) I will need to do then is fill in the dents and tracks made by the people removing a large tree from the edge of the lawn. I must say that I have found you information informative and entertaining, though I don't believe you do any gardening, where would you find the time? Its a familiar problem I checked on Amazon and e bay and it was all the amateur stuff. I googled yaramila and found plenty of suppliers such as Munroes who were a lot cheaper than my local supplier but I expect there will be a hefty delivery charge for the 25kg bags. It is best to suss out a local ‘trade horticultural sundries supplier’ - I use East Riding Horticulture and collect personally. A local nurseryman splits bags and sells it to his customers,with appropriate warnings that it is twice as strong as growmore and misused will kill your plants! It’s worth pointing out that some local trade suppliers have in stock other similar commercial fertilisers from their own suppliers which are just as good. If East Riding were to switch suppliers, for convenience so would I. 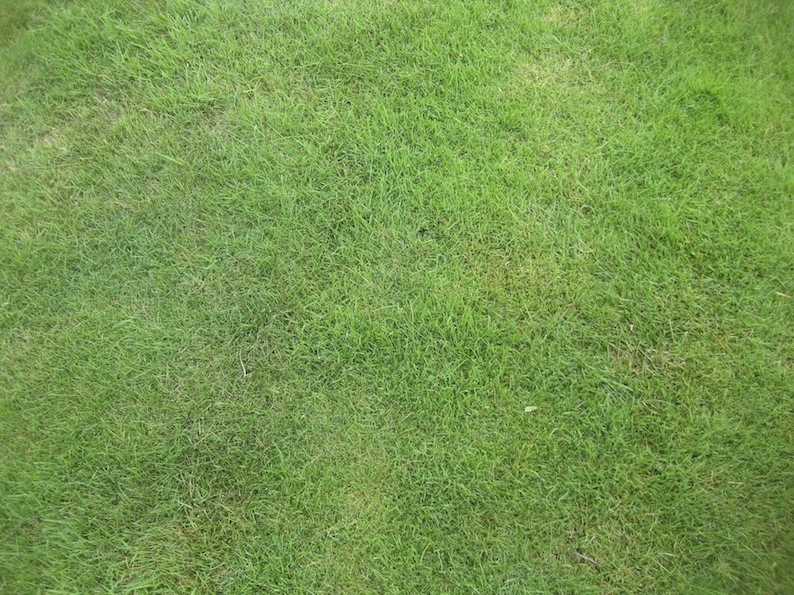 In North America, a lot of lawn fertilizer is now supplied without phosphorus. Sometimes it is a result of a law banning it, and sometimes a voluntary decision. The reality is that most lawns in N.A. do not need more P.
In the past I hardly every fertilized the lawn. I did get weeds and spot sprayed for them. A few years ago Ontario banned all 'good' weed control products so I have started fertilizing to try and stay ahead of the weeds. I only apply nitrogen, and this year started using Urea (45,0,0). You have to spread it thin, but it works like a charm. Although both laws are frighteningly intrusive examples of the nanny state (Thought that was our problem and you were the land of the free- with all those guns!) the first ban on fertilisers does have a degree of logic. What does Ontario do to control its noxious weed - our equivalent might be ragwort - without MCPA or 24D? Surely your excellent urea also makes your weeds grow! I remember when we took the students to Holland thirty years ago and they had banned herbicides for amenity use (but NOT for food crops in agriculture) the local parks department used their old stock and sprayed very early in the morning!